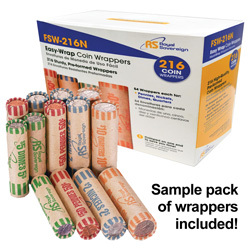 Don't pay to have your coins sorted and wrapped. 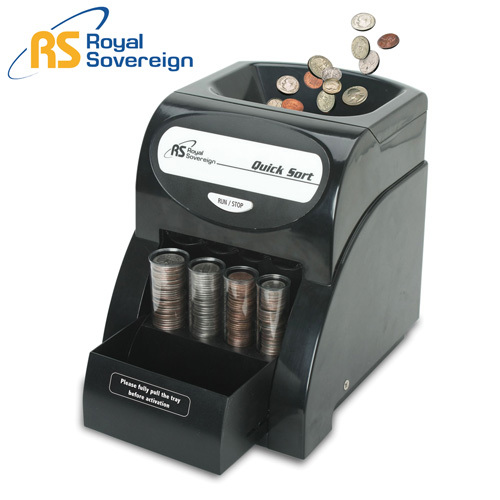 Do it yourself and save with this easy-to-use Royal coin sorter. 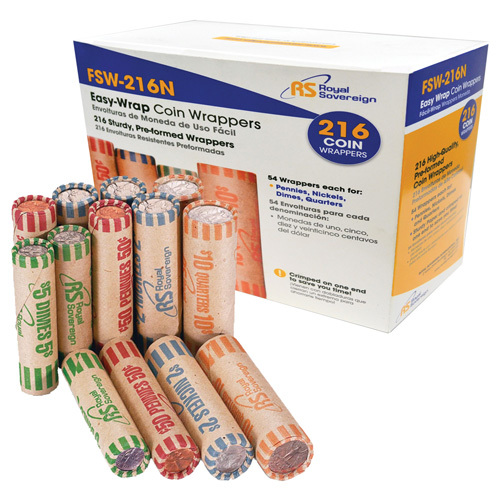 Just drop coins in the hopper and all the work is done for you - no tedious hand counting and wrapping and no time-consuming trips to the bank! 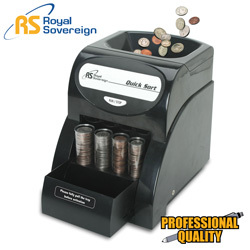 Features patented anti-jam device that rotates to help free jammed coins, 200 coin hopper capacity, quality electric motor and 1-row sorter design. 1-year limited warranty.